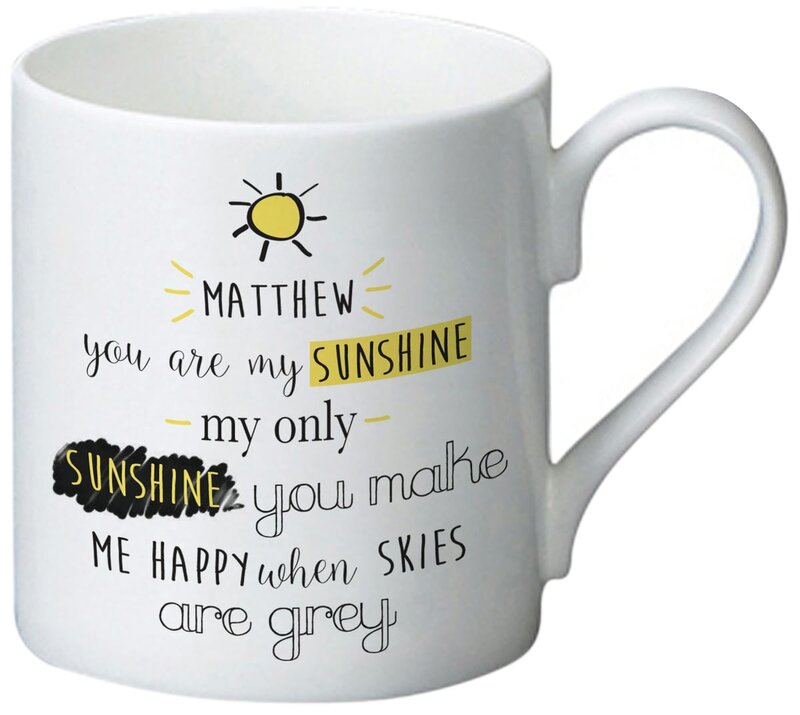 Tell some one that they brighten up your life with this personalised bone china mug. Personalise with a name of up to 15 characters above the fixed poem on the front of this mug. This statement mug is scratch resistant and is safe in a dishwasher and a microwave. Height: 8.5 cm, Diameter: 8cm and Capacity: 330ml. Is your other half your "Type on Paper?" If so, this personalised Love Island inspired mug would be a great treat! Available in pink & green. Add a name of up to 15 characters to this pun-tastic mug! The 11oz white ceramic mug is 9cm tall, 11cm wide (including heart shaped handle) and 8cm diameter. The 11oz green inside mug is 9cm tall, 11cm wide (including handle) and 8cm diameter. Add their title of up to 20 characters after the fixed text ' 5 reasons why I love my'.